The pocket watch seems to be early 1900’s in the mass-produced style of the period. Far from solving a mystery, my find has created another one. 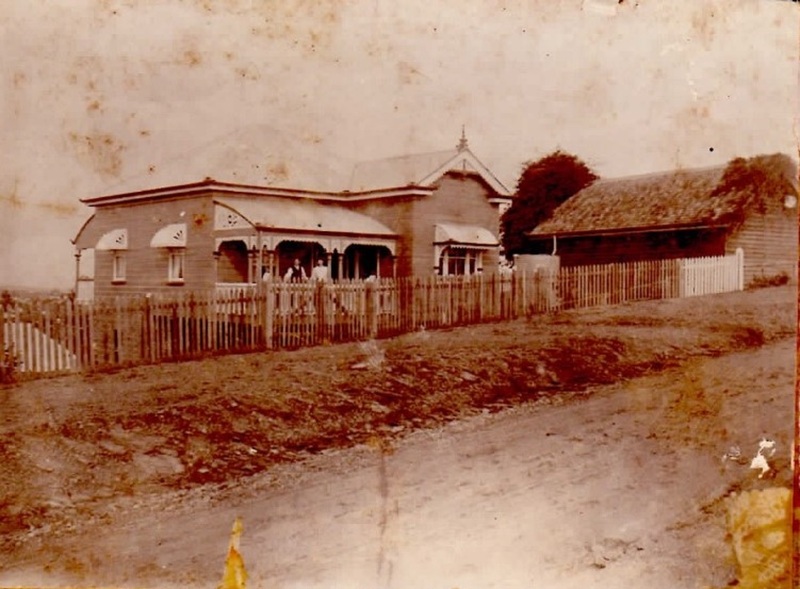 Was the owner the grocer who struck it rich on the Gympie goldfields, or the meteorologist who was sought out by the creator of Sherlock Holmes? My journey to this point is as seductive as the answer itself. Read the full story then watch my short video. “That’s like a Klaxon horn, it’s from a car from the 1920s or earlier,” Graham said, after looking at one of my metal detecting discoveries. Six generations of his family have walked through this Brookfield park now called Rafting Ground Reserve; it’s been a timber-getters and then a picnickers’ favourite since the 1840s. I met Graham by accident on one of his walks, and co-incidentally he knows my uncle quite well. Graham showed me a photograph (shown above) taken here in the Rafting Ground by his great-grandfather Obadiah Watson in 1919. It has Graham’s grandfather with two siblings probably snapped about where we were standing next to the old tree. 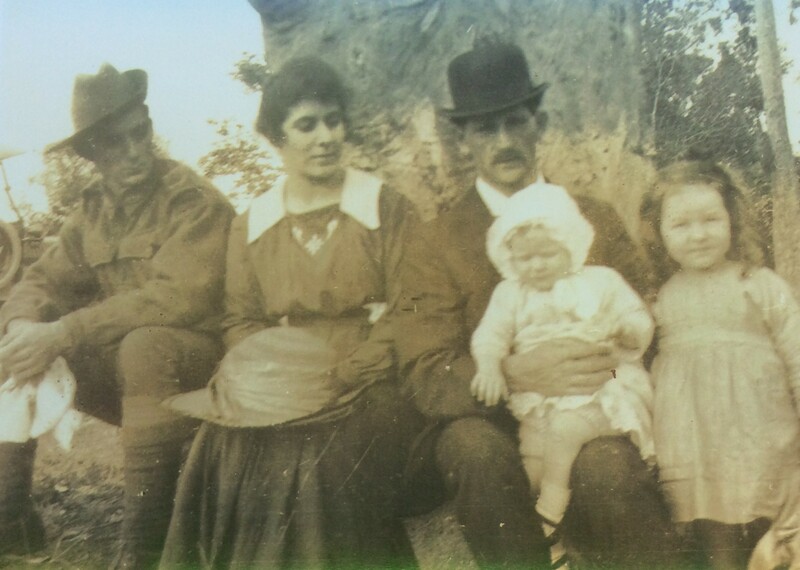 The two people averting their eyes are Graham’s grandaunt Mary and granduncle Eddie in his Australian Army First World War uniform. 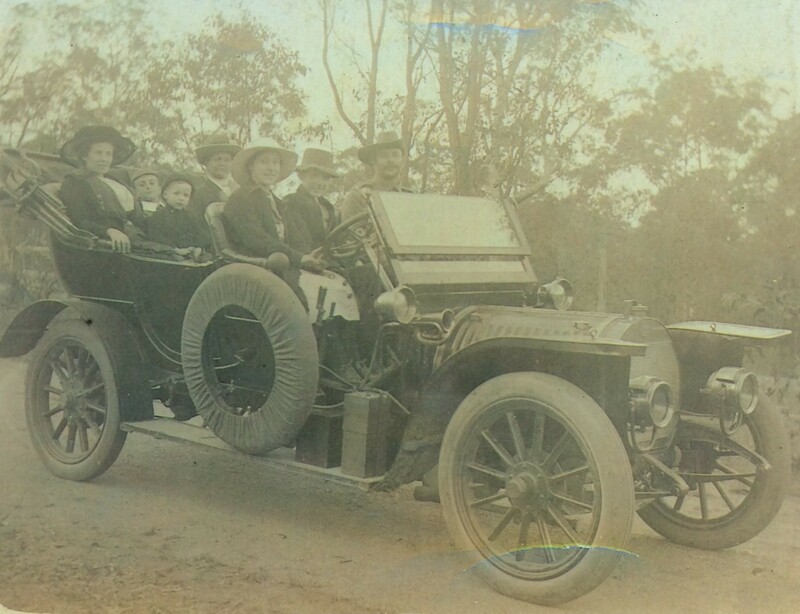 In the background is Obadiah’s 1906 Hotchkiss luxury car (pictured right) which was the first one privately owned in the district. 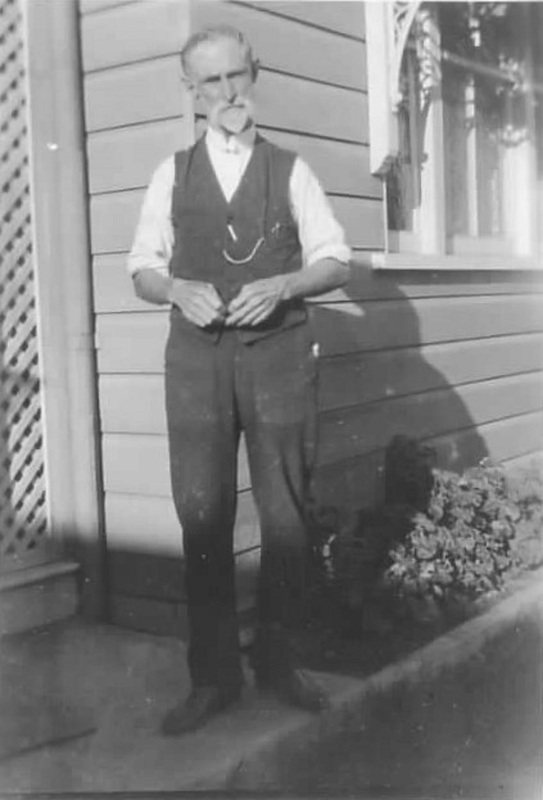 Obadiah took the photo in November 1919, I know this because that’s the only time that Eddie was home before being discharged. I have a passion for detecting old sites and then researching the items that I find, connecting them to real people, and this old park was rich with generations of history. 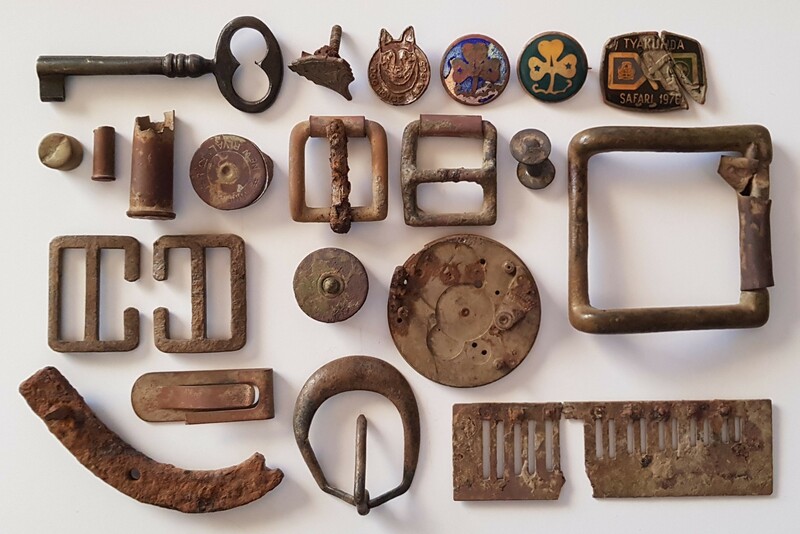 I found a skeleton key (pictured right) from an 1890s bureau cabinet, the badge from a 1940s Genalex Bakelite valve radio, a 1965 Dog House Club badge bought for two shillings to support the children’s hospital, and several 1970s Girl Guides badges. For the shooters, there’s a percussion cap, .22 and .303 calibre shells, and a Winchester 12-gauge shotgun shell from 1897-1929. The latter was fired from the same shotgun, therefore probably by the same person, that fired a shell which I found two-and-a-half miles away at the 1869 Brookfield Methodist church. There’s horse tack including bridle buckles and stud, a big brass saddle girth buckle, army webbing buckles and a steel heel of the sort used on army boots. 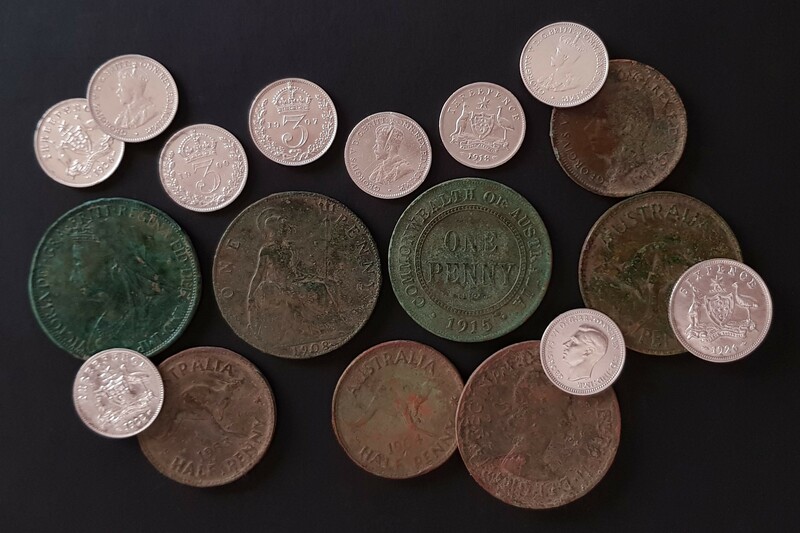 More personal items included a belt buckle, harmonica reed, money clip, and a pocket full of pre-decimal coins (pictured below) from as early as 1897 featuring five different monarchs. However, it’s the coins that I unearthed that were virtually at the feet of the people in Obadiah’s photo that interest me the most. The 1908 penny is beautifully worn by years of touch, and the 1915 penny is a sad reminder of the year of the Gallipoli Landing. The brightness of sterling silver threepences from 1900, 1907, and two from 1918, cheer up the finds, the latter as crisp as they day they were minted. 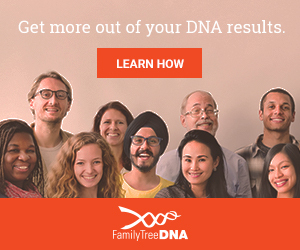 They could all have easily been lost by Obadiah and his family. The six coins are the right age to have been unseen participants on the day that the photograph was taken exactly 100 years ago. Obadiah Watson (pictured right) was a frugal Welshman who worked in the same Gympie goldmine as future prime minister Andrew Fisher. Obadiah struck it rich and bought a grocery store on Moggill Road, Taringa, eleven miles from the Rafting Ground. Three of his sons enlisted in the First World War and all were fated to be wounded in action. Obadiah moved around the corner from his store to Swann Road (pictured below) and that’s where in 1917 Eddie appeared in spirit form to his sister Mary. Eddie had survived the fighting at Polygon Wood only to be shot in the head in the advance on the Hindenburg Line. That incident effectively ended Eddie’s life, because when he was sent back to the front, he deserted, court martialled, and spent a year in prison. He would have faced a firing squad if he was in the British army. After returning to Australia, Eddie was never right again. He lived out his life as a vagrant, at one stage living in a space under a room at the Boy Charlton Baths at The Domain in Sydney. Obadiah purchased the property next door off Clement Lindley Wragge (pictured below). 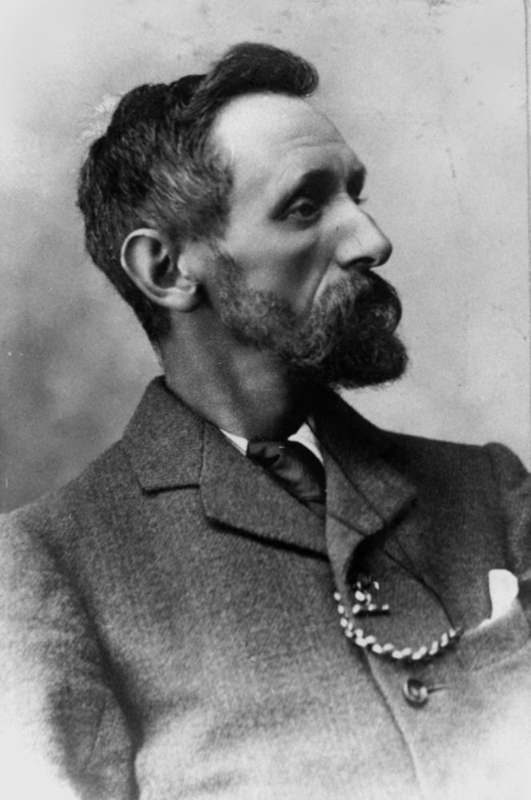 Wragge was an English meteorologist who was nicknamed “Inclement” Wragge due to the flooding rains that occurred when he was first engaged by the colonial Queensland government. He invented using people’s name for cyclones and trained Inigo Jones who became the renowned long-range weather forecaster. Wragge was also a spiritualist who was sought out by author Sir Arthur Conan Doyle before writing “The Wanderings of a Spiritualist” in 1921. If Wragge believed in communicating with the dead, then perhaps it extended to the wounded, because it was next to his shingle-roofed stables and telescope platform on Swann Road that the ghostly Eddie Watson had appeared. Obadiah and Inclement had more than their Swann Road property in common. Both had sons serve at Gallipoli and both enjoyed wartime prime ministerial connections. Obadiah’s goldmining mate Andrew Fisher was the Australian prime minister at the start of the war, but by the end it was Billy Hughes whose cable to London in 1919 expedited the free passage to Australia of Inclement’s new daughter-in-law. The cables co-incidentally were sent at the same time that Obadiah’s family enjoyed their picnic on the Rafting Ground. I swung my metal detector along the footpath outside the land once owned by both Obadiah Watson and Clement Wragge. I heard the unmistakable tone of brass, and there it is, the early 1900s pocket watch movement strangely in the same hole as an unfired shotgun shell (both pictured with relics above). Graham doubts that the frugal Obadiah would have lost the pocket watch, perhaps it was one of his sons, or maybe it was Inclement. Possibly it was Eddie leaving an ethereal reminder of both time and guns to his fateful charge from the trenches on the Western Front. Look closely at the photographs of both Obadiah and Inclement and you’ll see another thing in common… both are wearing fob chains with pocket watches attached. The owner of the pocket watch may never be found, but it’s a mystery that has taken me on a great journey through time worthy of Sherlock Holmes himself. Good research again, Harold. Forensics augment reminiscences. Pity a few of our historians don`t practise the same.